SIUE Archaeology Field School Featured for “Digging Up History"
Participants in the SIUE Archaeology Field School are braving the heat this summer, in pursuit of historic artifacts. 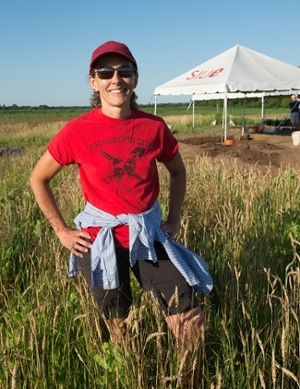 Julie Zimmermann, professor of anthropology in the SIUE College of Arts and Sciences, is leading the group’s efforts at the dig site located on campus. The work of the SIUE Archaeology Field School was featured by writer Scott Cousins in an article posted Wednesday, June 29 on MyJournalCourier.com.